Watching its revenues plummeting over the last year, Oil & Gas industrials are looking for a rapid operational efficiency. That is why new technologies, and 3D printing particularly, are now entering into the game. 3D printing adds values for an efficient manufacturing of parts for industrial machinery: reduction of material wastage, a weight reduction of parts by using polyether ether ketone and carbon fiber, local production etc. Nevertheless, it doesn’t completely replace the traditional manufacturing techniques, it comes in addition as a new handy tool. 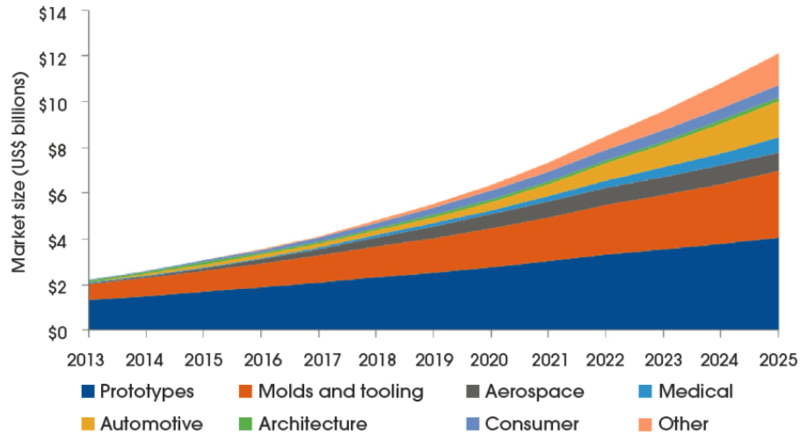 Oil and Gas segment (“other” in Figure 1 edited by Lux Research) represents a very small part of the current $3.5Billion 3D Printing market. 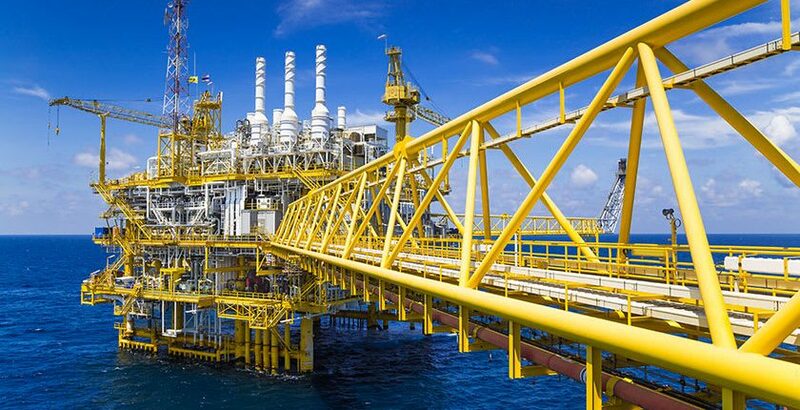 Even if a lot of projects have been conducted aiming at printing drillbits or heat exchangers, the adoption by the Oil and Gas industry is in its infancy. Until recently, there was no need to cut costs and professional were unable to identify parts or use cases which would suit 3D Printing. Manufacturers from other industries are generally used to print parts with high complexity and small quantities to produce. However, according to epmag.com, this practice is not applicable to the Oil and Gas Industry due to the complexity of its supply chain. Therefore, the Oil and Gas industry must develop its own “specific framework” to handle the multiplicity of related cases and technologies. 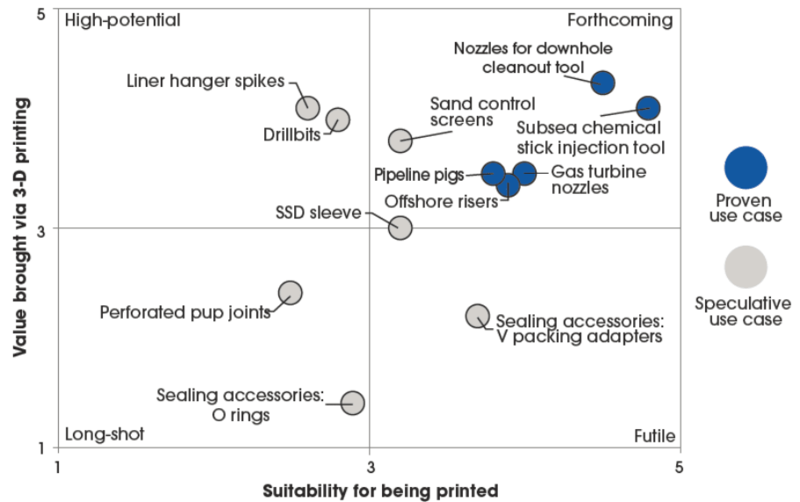 Lux Research ranked 12 use segmented cases to identify the best cases for 3D Printing in the Oil and Gas industry. According to the study (Referring to the graph), half of the cases would be very suitable to 3D Printing: the four proven use cases, of course, and two speculative ones. For those parts, 3D Printing would lead to significant material savings and diminished lead times. 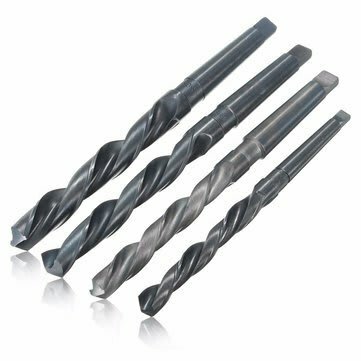 Drillbits and liner hanger spikes also have a good potential in term of material savings, but the technology is still perfectible for such material like Tungsten carbide. The last categories don’t benefit so much from 3D Printing technologies. Traditional manufacturing is already efficient and economical. Those cases show that 3D printing is not to be blindly used for every part and that the technology can be combined with others to be optimal. However, implementing 3D Printing is not easy and adopting it will need 3 requirements. Internal conceptualization: conceptualizing a specific framework for the manufacturer in order to identify key cases of appropriate for 3D Printing. From those potentially few successful parts, the company may widespread the process to other parts. Partnerships: creating alliances with specialist organizations, like Spare Parts 3D, who are used to deal with additive manufacturing issues, in order to overcome technological obstacles which may appear. 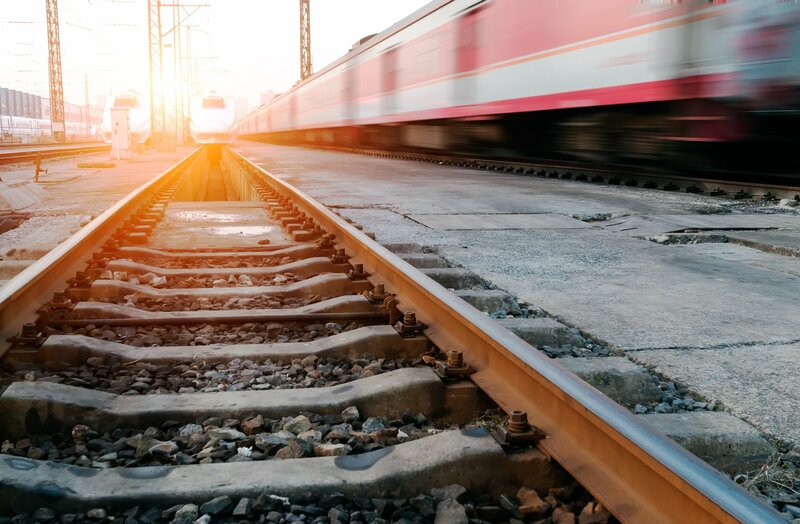 Infrastructure: Investing in adapted infrastructure for 3D printing (worldwide research centres, facilities…) and acquiring technologic companies as well as collaborate with major players already implemented in other industries (automotive industry). So far, the Oil and Gas industry continues to struggle with its 70% of the wasted material in the fabrication of technical parts. Through this methodology, Lux Research paved the way for a pragmatic renew in the supply chain. To what extent will it be followed? For more information about the lucrative Use For 3-D Printing In Oil And Gas Industry, please read the full article of E&P.